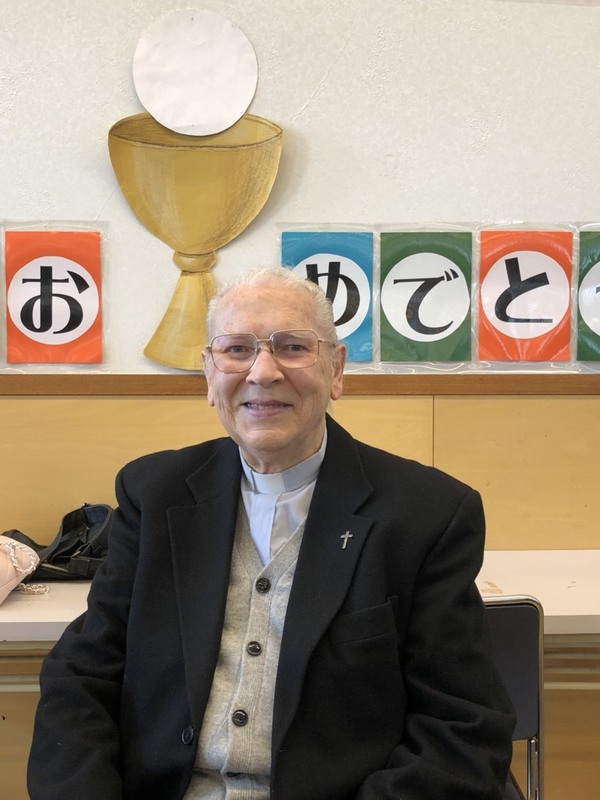 Roman Catholic Archdiocese of Osaka is celebrating the re-missionary 150 years on June 17 in 2018 to June 16th in 2019. 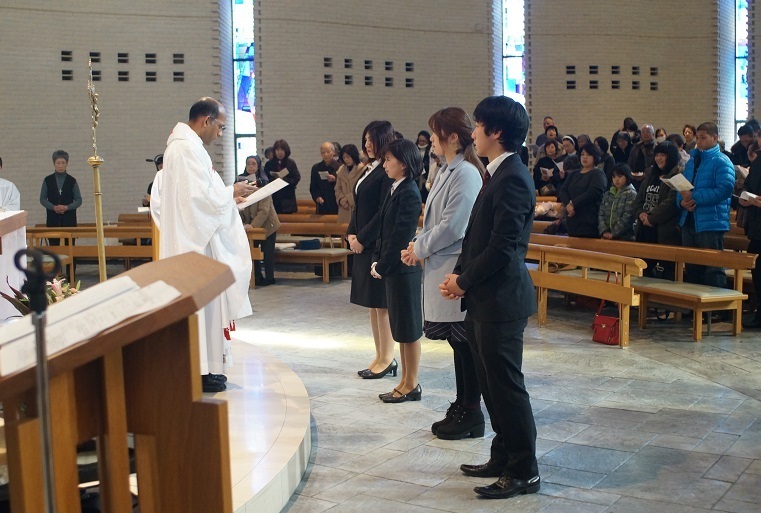 The Catholic Kobe Central Church has been chosen as a pilgrim designation association. 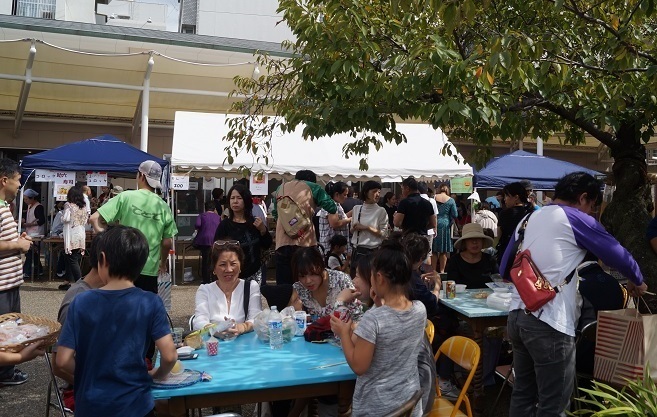 so please come to Kobe Central Church on this occasion. 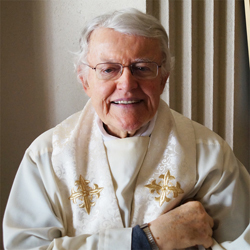 Mass schedule may be different on Holy days. by Jesus Christ during the Last Supper with His disciples. the body and blood of Christ through the Holy Mass. 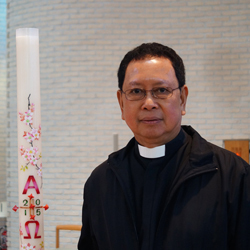 Non-Christians and those not yet baptized may also receive a blessing from the priest. Courses and dates are subject to change. Born in the Dole on France. He was born as a third child out of four siblings. Entered the Lyon Theological Seminary. Volunteered at Emmaus House in Tokyo. Arrival in Japan and learned Japanese at the Nanzan University in Nagoya. 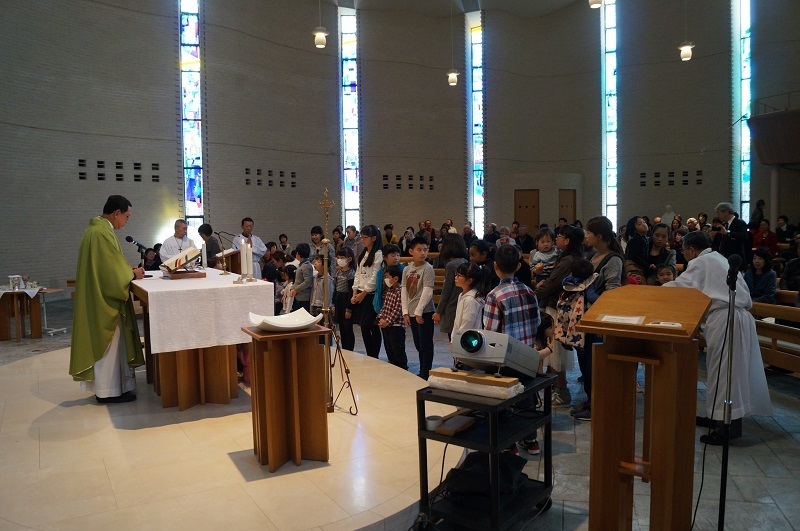 Kobe Central Catholic Church, and Sumiyoshi Catholic Church. Message: Be kind each other. Born in the Bordeaux on France. Entered the Theological Seminary in Paris. Entered the French Theological Seminary in Rome. 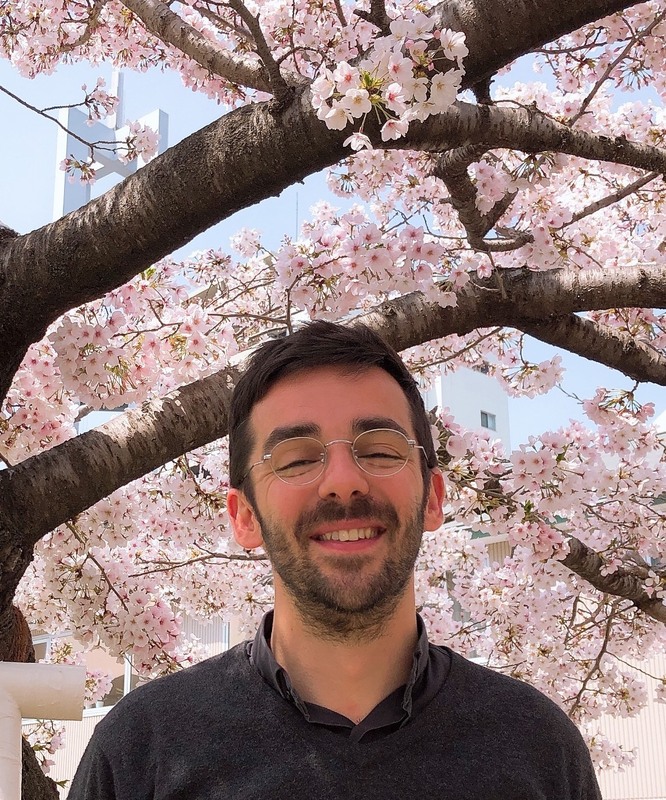 Arrival in Japan and learned Japanese at the langage school. Message: Nice to meet you. Message : Let's walk with the Lord! 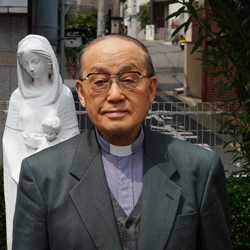 Father returned to heaven on August 8,2018. I'll wish for an eternal relief. 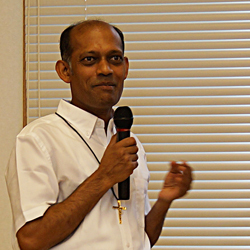 He transferred to the Umeda church on April 2017. He transferred to the Society of Jesus monastery at the end of May 2017. ⇨ Walk north towards Kitanozaka Road, cross Yamate-kansen, then turn left on the 1st traffic light. ⇨ Walk through Higashi-mon towards Yamate-kansen, then turn right on the 2nd block. is a popular tourist spot in Kitano. South of this area is Sannomiya and Motomachi. The Kobe Central Catholic Church is in the Kitano area. 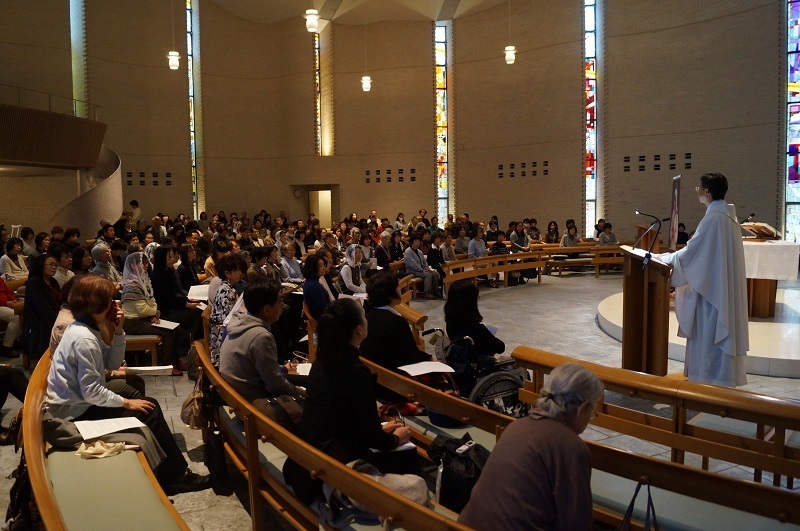 Whenever in Kobe, please feel free to drop by our church. After the Great Hanshin-Awaji Earthquake, the three churches in the Chuo Ward (Nada, Nakayamate and Shimoyamate) were integrated into the present Kobe Central Catholic Church. Reconstruction of the current church was completed on October 23rd, 2004, the site of the old Nakayamate Church. “As Christ’s disciples, we as a church believe in Jesus’ teachings and live according to our faith. We are a church whose doors are open to anyone and everyone. making use of the collective efforts of all our parishioners. We area church that follow Jesus’ footsteps to establish the Kingdom of God on earth. We are a church that that gives priority to those marginalized by society. The Church building was built to blend with the surrounding urban landscape, without losing its identity as a symbolic church. 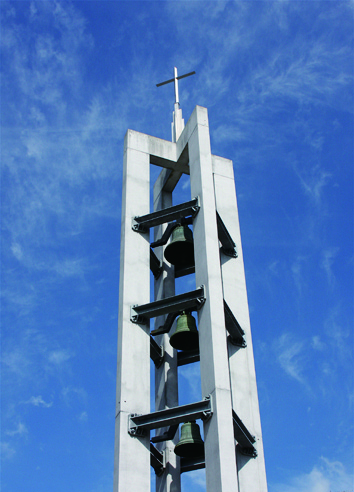 The main building was built at the corner and the bell tower was erected at the entrance. Being a church with open doors, the main building was builtstrategically for easy access and to entice passersby to enter freely. The church building consists of three walls, symbolizing the Trinity, and was designed in the image of the ark. The roof of the main building is in the shape of a traditional gable. There is an internal space that rises toward the main altar. 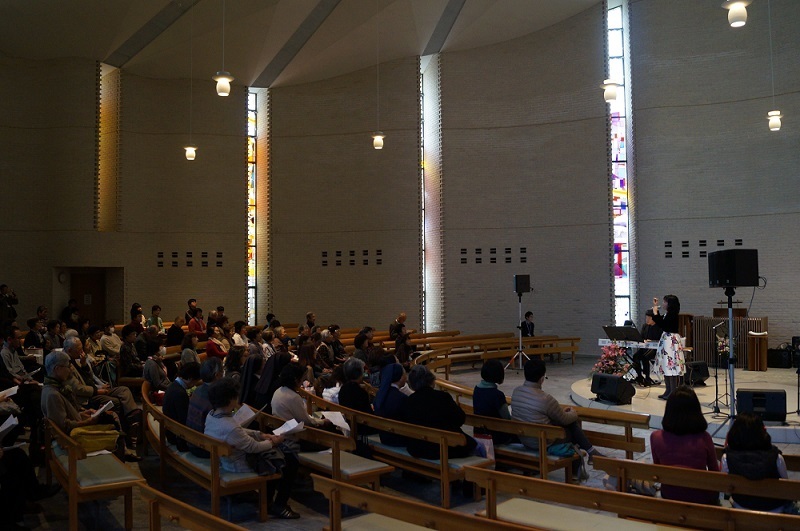 To commemorate unification of the three churches in Chuo Ward (Nada, Nakayamate and Shimoyamate) into the Kobe Central Catholic Church, the interior of the main church building was designed to be spacious and bright, where one can pray in serenity, bathed in the grace of the Holy Spirit. White bricks compose the interior walls giving a sense of peace and quiet. 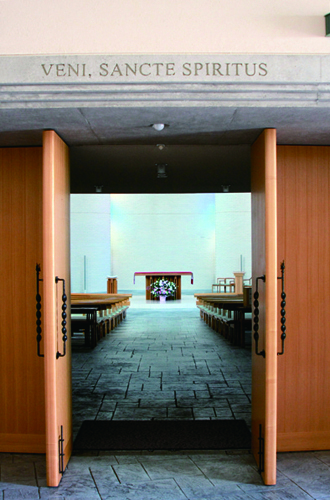 The pews are set at gradual height gradients to allow those seated in the back to have a good view of the entire altar, accentuating a sense of unity. Sixteen stained glass windows representing creation of heaven and earth are found in the center wall, behind the altar, providing a gentle lighted background. Fourteen stained glass windows on the walls to the right and left sides of the pews represent the Stations of the Cross. The stained glass windows were designed to face the altar. However, on walking back to the pews after receiving Holy Communion at the altar, the stained glass windows could be seen directly, with all its bright and vivid colors. Upon entering the main church, the white walls and the stained glass give one a sense of tranquility. The eye is not directly exposed to the bright sunlight and the mood inside the church changes with the passing of the hours, from the bright blue colors of the morning to the red hues of the evening. There is a skylight on the ceiling above the altar representing the coming of the Holy Spirit on Pentecost. 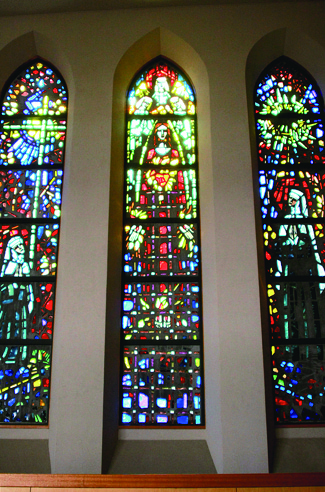 Together with the stained glass windows, one’s view is naturally directed to the center of the altar. This design is also helpful in the interior acoustics of the main church. In the center of the wall behind the altar is a statue of the Risen Lord. 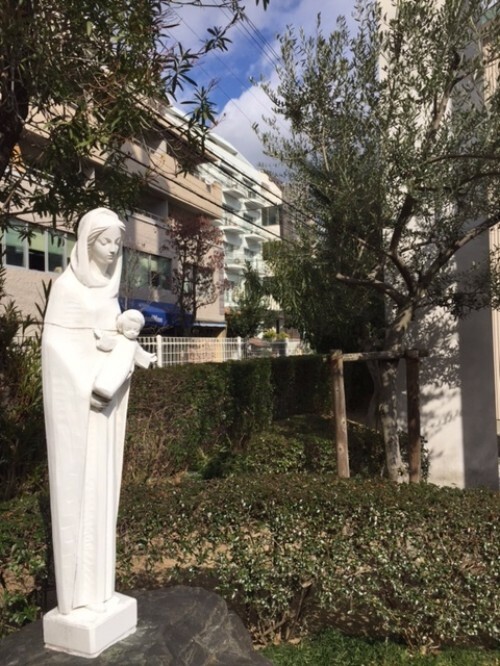 Filled with deep faith, the statue made by Mr. Fujii took a year-and-a-half to complete. 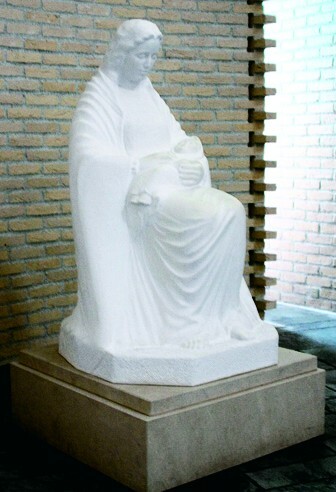 The statue is set on a backdrop of raised bricks in the shape of a cross, giving it the appearance of emerging from the walls itself. Daily morning masses are usually heard at the small chapel. It could also be used for quiet personal prayers. The right wall has an opening for natural light to enter and shine on the altar. The right wall also has seven stained glass windows representing the Seven Days of Creation. 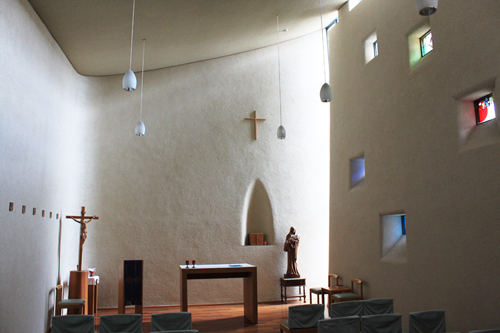 In addition, there are slits on the top of the right wall, which allows light to diffuse into the entire chapel. On the left wall are the Stations of the Cross. of emerging from the walls. and sculpted by Mr. Fujii. to those visiting the church. pray and have peace of mind. 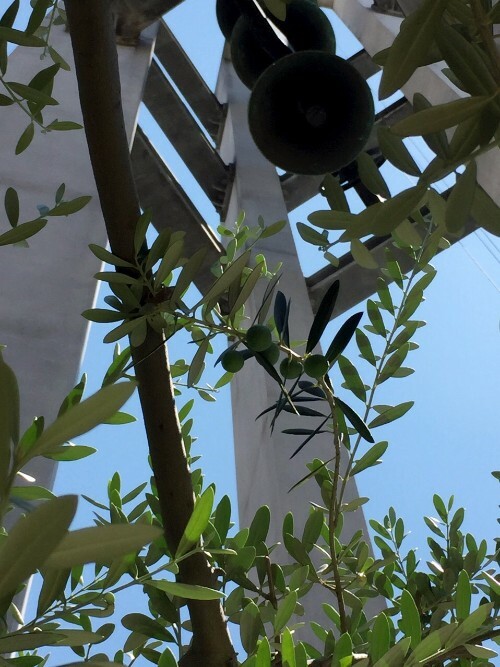 base of the bell tower.